That may not be the "change" that many Americans voted for last November -- but it's the change we're all getting. And we're stuck with it for at least a few more years. In the meantime, however, how can you and I secure our financial futures even as President Obama and Congress are doing so much to drive down our economy? As a politician and talk-show host, I wouldn't say I'm qualified to answer that for you -- but thankfully, I know someone who is. He then went on to recommend some financial guru that could help me out and gave me his website. Does anybody find this kind of huckstering a bit beneath someone who wanted to be our president. It disappointed me that Mike is using his influence in the conservative Christian community in this way.. maybe he needs to get a real job? There's just something not right about him. I also didn't like how he falsely claimed to have a theology degree during one of the debates in the primaries. Isn't it a little odd to fudge the facts on something like that? 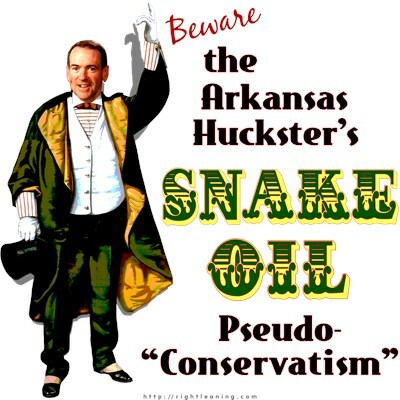 I don't know much about the guy... but if that's the worst Huckabee can be accused of, he's far ahead of the pack as far as I'm concerned. I am curious though, how'd you get on his mailing list? could it be that it didn't actually come from Mike huckabee. Wishful thinking Scott. I am on a "conservative" email list and often get stuff like this from the likes other conservative celebrities. I was just surprised to see Mike hawking this stuff. I responded to some "conservative" website many years ago Ken and have been on the email list ever since. I regularly get messages from the likes of Newt, Ann and Ron.. I don't always read them though.. especially the wacko ones from Coulter. I know he attended Southwest Baptist Theological Seminary. He didn't graduate?